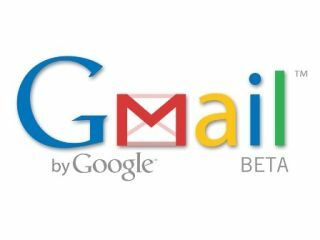 Google has announced changes to its online Gmail application, offering compatibility and new features in the UK. Users of iPhones and Android devices can head online and check out the new HTML5 application, which now features UK English rather than the misspelt American version. The upgraded version of the application will see offline support, smart links (ie linking to Maps, YouTube and Docs) and label and layout improvements too. If you want to full rundown of languages supported, here it is: (deep virtual breath) Arabic, Bulgarian, Catalan, Chinese (Traditional and Simplified), Croatian, Czech, Danish, Dutch, English (UK and American), Estonian, Filipino, Finnish, French, German, Greek, Hebrew, Hindi, Hungarian, Icelandic, Indonesian, Italian, Japanese, Korean, Latvian, Lithuanian, Malay, Norwegian (Bokmal), Polish, Portuguese (for both Portugal and Brazil), Romanian, Russian, Serbian, Slovak, Slovenian, Spanish (for both Spain and South America), Swedish, Thai, Turkish, Ukranian, Urdu and Vietnamese. Or you can just watch the video of it in action. Your choice.